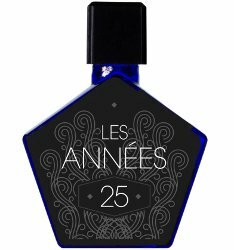 Tauer Perfumes has launched Les Années 25, a new unisex limited edition fragrance. Inspired by a Golden Age of humanity, creative arts and a fundamental change towards liberalism in society, the 20ies of the 20th century, “Les Années 25” reflect the optimism of an era. Looking back, Andy Tauer created a modern perfume, bottled Art Déco, referencing the beauty of an epoch. Les Années 25 connects old with new. It opens with a mouthwatering citrus accord of Bergamot, petit grain, orange oil and a fresh spicy ginger from India. Bulgarian rose, vibrant iris root and soft benzoin form a powdery and luxurious stage for rich base notes chord. Oakmoss, tonka, Indian sandalwood, amber gris effuse an aura of luxury. Patchouli, musk and vanilla add softness and lift. The eau de parfum comes with great longevity, is unisex and enchants with balanced sillage. Tauer Perfumes Les Années 25 is available now at Etiket in Canada, $195 CAD for 50 ml Eau de Parfum. 500 bottles were made. Just the words I wanted to hear, thanks ???? Sound lovely! Maybe someone could host a split! Oh my! I guess I am in trouble! What?! What?! Omg, benzoin, iris, patchouli, vanilla, oak moss, tonka, sandalwood, bergamot…I feel a blind buy may be in my future…???? Ooooooh……time to find a sample….. Sounds awesome! It looks good, I’ll try to sample it before it’s gone. oh dear oh dear oh dear, lemming lemming lemming. Have not smelled it and likely never will, but even so, it feels like this one has an aura of greatness. It absolutely, positively breaks my heart that I cannot have Tauer shipped to South Africa. This sounds like perfection. Well, it looks like the bottles are sold out, but the samples are still available. Sadly, Etiket only sells within Canada. Good news for our Canadian NSTers. ???? Thankfully, this doesn’t appeal to me. I’m still contemplating buying a bottle of Au Coeur du Desert, though. I am trying to narrow down my to buy list. ???? This is now up for sale on http://www.tauerperfumes.com. There is also a super cute mini available in combination with the latest Tauer Mag!